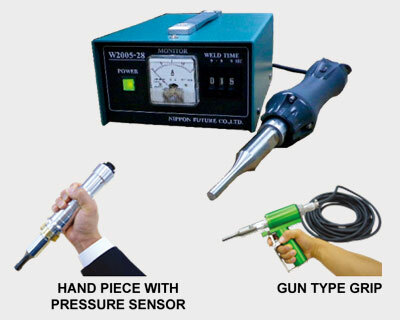 Advanced Integrated Technologies ( AIT ) is a welding equipment and technical support provider for Nippon Avionics ( Avio ) brand of ultrasonic welders and accessories. 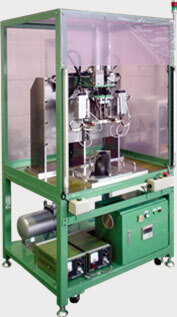 We can evaluate your product samples, provide free test welds, and accurately specify which equipment is best for your application. We can then provide the equipment you need at an economical price, and assist with any technical issues you encounter setting up your welding process. Submit a contact form or call us today to request assistance with your next project. 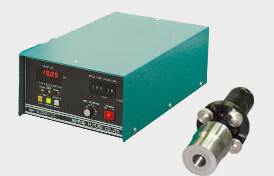 Unlike resistance welding, ultrasonic welder horn oscillator vibration removes oxide film on the metal surface and scatters surface layer impurities in order to create a state of solid-phase welding by bonding metal atoms. 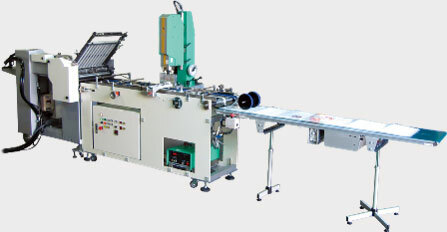 •Suitable for connection of thin metal foil such as aluminum foil or thin copper foil. Also suitable for connection of copper wires. 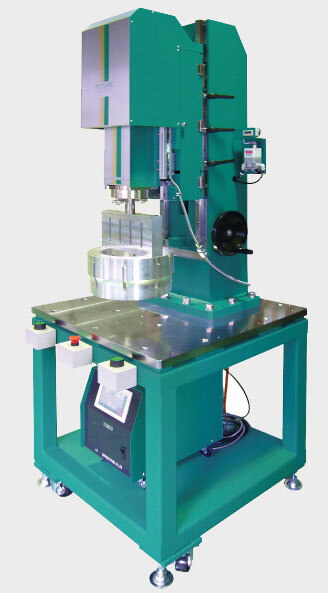 •Ultrasonic Welders use Ultrasonic Energy to perform various bonding & cutting functions such as resin welding, resin seat cutting, resin cutting, and metal joining. 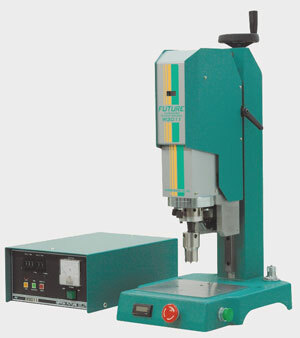 The basic components of Ultrasonic Welding Systems consist of an Ultrasonic Oscillator Unit and a Welder Main Unit (Press). •Products offered include a wide range of output models from a compact 40W unit to the world’s highest in class 8,000W unit to meet customer needs. These products are manufactured by Nippon Future Co. Ltd. (a wholly-owned subsidiary of Nippon Avionics Co., Ltd.). Ultrasonic horns incorporate a half-wavelength resonator cavity which efficiently transmits vibration energy. 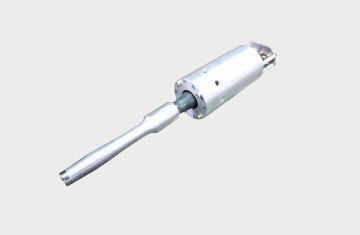 Horn materials include aluminum alloy, titanium alloy, and die steel depending on the welding purpose. We offer horns that best suit your particular work. 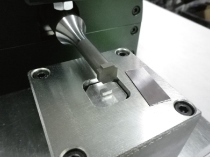 We also design and manufacture clamping jigs. Maximum Output 8,000W – World's Highest Performance in Its Class! 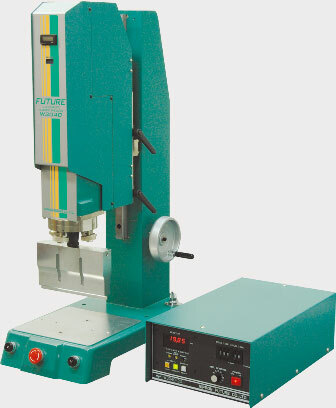 W5000 series ultrasonic plastic welders allow control of welding parameters (welding time, welding displacement, welding energy, & welding data output). 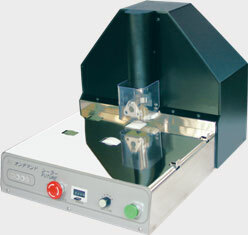 A color LCD touch screen front panel provides user friendly and intuitive operation. Welding parameter data used for controlling can be output to a network environment (LAN) or saved to a USB storage device during operation. This easily accessed parameter data history is valuable for quality control. Color LCD display of main weld parameter waveforms is beneficial for better on-site management and analysis of the welding process. 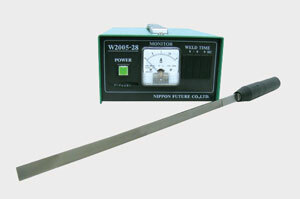 •Management and recording of set up & welding data – Records and timestamps each welding parameter. Supports USB storage devices and connection to a network environment (LAN). Operation / setup iseasy. 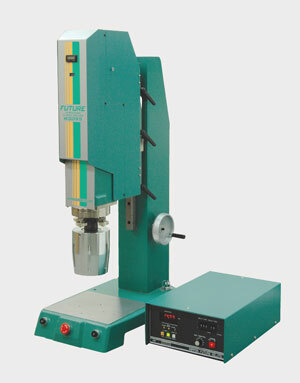 Changing horn height will not change the oscillator timing as the weld head is equipped with a pressure trigger. No adjustment required. Easy-to-see display of 12-step power switching. 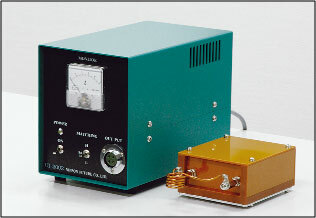 Oscillator amplitude is continuously variable between 0-100% toeasily select the optimum weld condition. 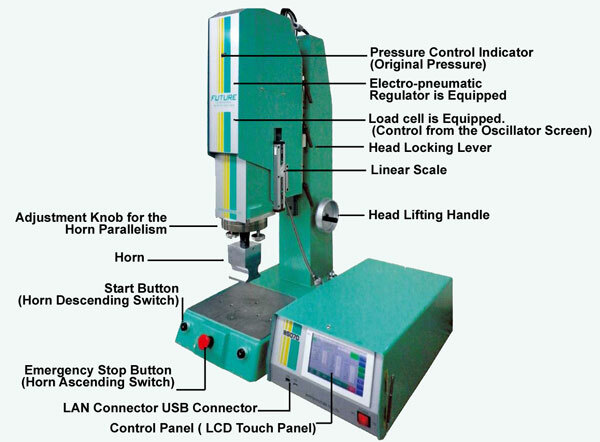 •Horn spherical seat leveling adjustment function is also available. Ideal for basting before sewing, small boss ratio caulking, and riveting. 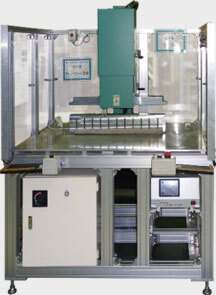 Units for automation are also available. 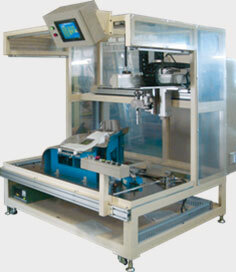 Serves a wide range of applications when used in automation. 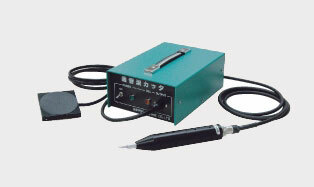 Compact hand-held type ultrasonic cutter. Permits cutting of paper and resin, and "gate cutting". Cleanly cut various confections such as cakes, sponge cakes, pies, candies, and various food types including vegetables, meat and fish. Eliminates dependence on skilled workers. 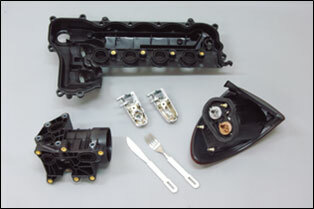 Metal Materials such as Screws or Nuts are easily Inserted into Molded Plastic Components! 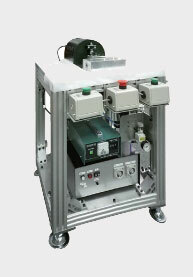 Induction heating units incorporate high frequency generators for non-contact heating of metal using electromagnetic induction. 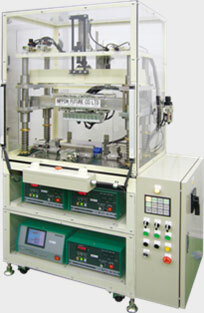 Induction heated metal screws and nuts can be easily and securely inserted into molded plastic components. 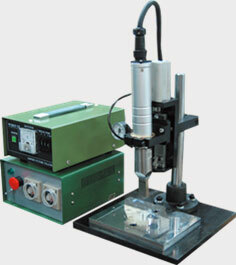 Unlike heater-method equipment, induction heating quickly heats both magnetic and non-magnetic materials. 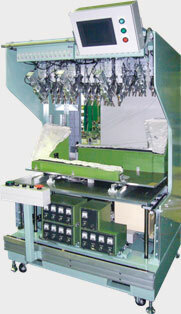 No pre-heating is required which contributes to reduced power consumption and prevents deterioration of metal parts. 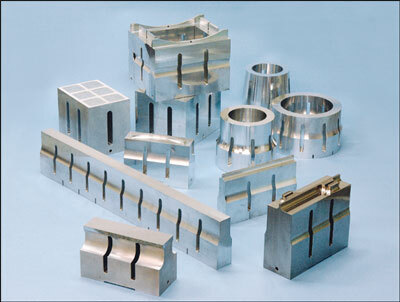 We offer a wide variety of coils to suit your applications.